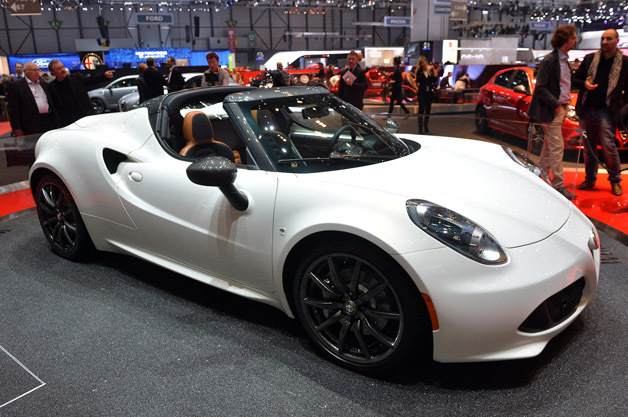 As its was announced before the Geneva Motor Show 2015 that Alfa Romeo will debut its 4C Spider for the European market and the promise has been kept the same way. 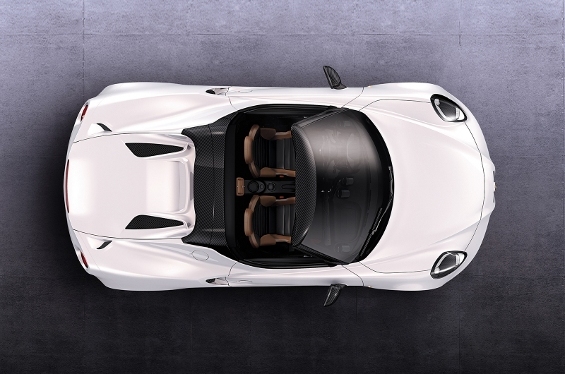 The 4C spider has been undergone a series of changes with its coupe version also on the chart for the same market as well. The visual appearance of both Spider and Coupe cars have same front end and projector xenon headlamps. And, the only difference is of roof which only comes with the coupe version. Apart from that, the Spider version has body-coloured engine cover, 3-heat extractors, subtle rear spoiler and enhanced buttresses as well. Inside the cabin, there haven't been much changes and it has the same carbon fiber tub, two-spoke steering wheel and angled dashboard as well. There also are Hi-Fi sound system, traditional tan leather interiors and luxury floor mats too. Powering this car is a 1750c TBI engine which is able to deliver 240 hp power and 350 Nm torque. It goes to 100 km/ h from none in just 4.5 seconds with the top speed of 257.4 km/h. 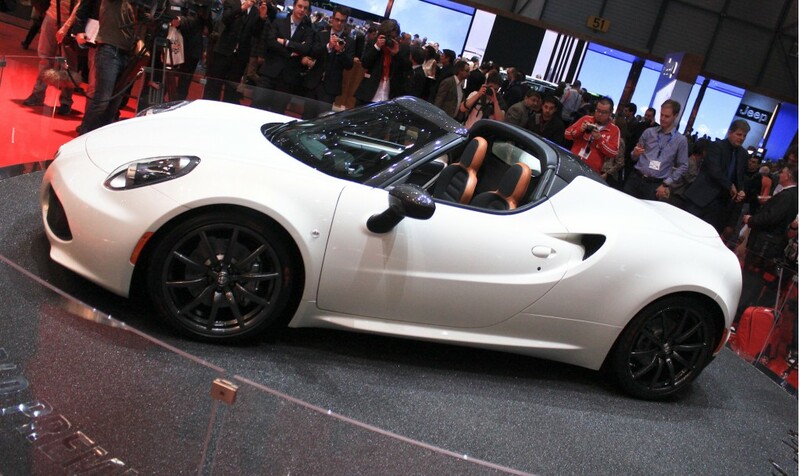 The car will go on the sale this summer in the UK and will be priced around INR 56.62 Lac in the Indian currency. I must say that such cars have won the hearts at the ongoing Geneva Show 2015 and many of the buyers will be looking at this car to owe one for themselves.